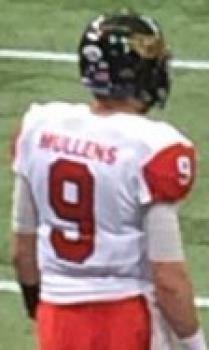 Happy Nick Mullens Day! Is it time for an Intervention? Here is our full Friday Show in its entirety. Today we spent a lot of time talking about whether or not a Smart Phone Rehab should be a real thing. Nick Mullens, how much we spend on booze, In-N-Out’s “Garden Variety 4×4″ and whether or not Ross from friends or Nelly had the better career. Enjoy! Here is our full Friday Show in its entirety. Today we spent a lot of time talking about whether or not a Smart Phone Rehab should be a real thing. Nick Mullens, how much we spend on booze, In-N-Out’s “Garden Variety 4×4” and whether or not Ross from friends or Nelly had the better career. Enjoy! Daylight Savings is here it may be our last (4:52) Cell Phone addiction, like ignorance, can be bliss (19:15) The Niners get an intervention of her own (24:18) Walmart and Sams Club may have found the secret to beating Amazon and Costco (30:28) San Diego spends the most on booze, If you spend more than their average resident does, do you have a problem? (38:01) Is there a need for a food rehab in this country? and if so should it be funded by our parent’s retirement plans (43:49) Now that Halloween is in the rear-view we can shift that focus to Christmas… reluctantly. (48:39) Let’s face it, It was our Parents faults we got fat, and if we had a little more leverage maybe the results would be different. (54:48) #HAPPYBIRTHDAY Who’s Career would you rather have David Schwimmer or Nelly? (59:38) Next time you go to In-N-Out order the “Garden Variety 4×4” and see what kind of looks you get.